Berlins Schaubühne theater presents a radically revised adaptation of An Enemy of the People, Ibsens potent 1882 drama about individual and social responsibility. The story of a whistleblower in a small town whose efforts to speak truth to power are shut down by his self-interested neighbors, the play both implicates and exhilarates its audience in a conversation about the perils of democratic capitalism. 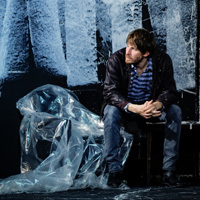 Directed by Thomas Ostermeier, for decades a leading creative voice and provocateur in European theater, the production has received strong reactions from audiences and critics alike, largely because of its controversial handling of the plays climactic scene. Schaubühne performs An Enemy of the People Friday–Saturday, October 12–13, 2018 in Zellerbach Hall.